Flashback to August 29, 2004. The picture above was shot a few hours before the Athens 2004 Closing Ceremony. I had been volunteering at the Olympic Aquatic Centre for two weeks which allowed me to witness the World’s Top Athletes in action joined by Kings, Queens, Celebrities and World Leaders. My first and most memorable Olympic Games. In 2008, we were back at the Olympic Games, this time as spectator at Beijing 2008. Arrived in Beijing without a single ticket for any event at the Games, but thanks to the Belgian Embassy and the Belgian Olympic Committee I managed to buy a huge stack of tickets at face value. It even allowed me to invite some of my friends living in Beijing to attend the Games, as I had bought several pairs of tickets. With the Rio2016 Games on my bucket list, I couldn’t skip the London 2012 Olympic Games. London being a less ‘exotic’ location for a Belgian, still I need to admit the Brits impressed me with their Games. Everyone was convinced the Opening Ceremony was not going to match the Beijing one, still Danny Boyle his team impressed the World with a very British London 2012 Opening Ceremony. 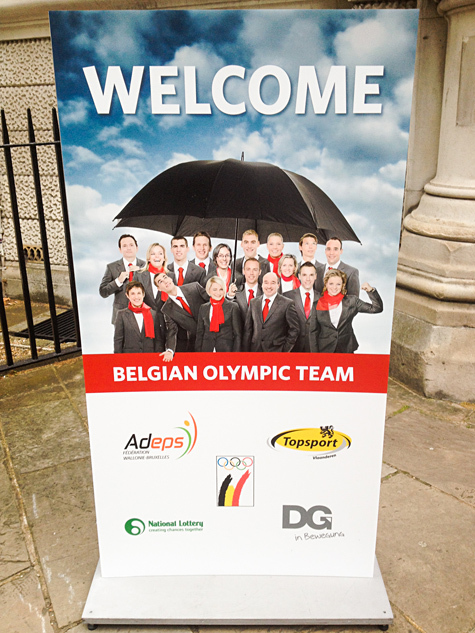 Also the Belgians impressed, not with their Olympic performances, but with the BOIC Belgium House located at the Middle Temple. On the first day of the Games (Saturday, Jul 28) I was present at The Mall hoping a Belgian would finish first in the Men’s Road Cycling Race event. Unfortunately doping sinner Alexander Vinokourov ‘won’ the race. Later that afternoon, I visited the London 2012 Olympic Park. A huge area with numerous friendly volunteers making sure everything ran smoothly in a relaxed and enthusiastic atmosphere. The park didn’t feel artificial as it had many grass fields, trees and colorful flowers along the paths connecting the different venues. My visit to the London 2012 Olympic Games was a short one (3 nights) but gave me a good impression of both infrastructure and atmosphere at the Games. The Brits did an excellent job and I have a tremendous amount of respect for all volunteers working day and night with such enthusiasm and persistence to make the London 2012 Olympic Games a success. See you in Rio de Janeiro for the next Summer Olympics Rio2016! Once again a great article!